These principles are designed to help institutions establish policies and practices to deal fairly with people with criminal records during admissions into university and higher education.  They’ve been produced by Unlock, an independent charity that focuses on criminal records. They are part of our guidance for universities. To have integrity and purpose, we need principles to underpin, guide and test the pragmatic, and often contingent, approach taken by organisations towards the recruitment of people with criminal records. The principles have been developed in consultation with universities, academics and students, data protection experts, and people with a criminal record. They are designed to be used as a benchmark for universities to ensure the fair treatment of people with criminal records. We are working with universities to put these principles into practice through training workshops and our project Unlocking students with conviction. We also worked with UCAS on their good practice guidance for universities. If you’re interested in receiving updates about this work, sign up to our mailing list. Most applicants with a criminal record will not be subject to ongoing monitoring by the criminal justice system. They will not be subject to any restrictions that will affect their ability to complete most courses. Where applicants are subject to monitoring – for example on licence or on a community sentence – universities should trust the system to do its job rather than try to replicate it. A small number of applicants may be under specific restrictions that could affect their ability to successfully complete. Applicants should be provided with enough information on courses or modules (including optional or extra-curricular ones) to identify any difficulties. Universities should consider how they might make reasonable adjustments or suggest alternatives for applicants in this position. Applicants with criminal records are likely to have experienced multiple disadvantages before applying. The will often be part of widening participation groups and universities should consider how these factors intersect when looking at improving access to higher education. Unlock published three essays on university admissions in 2018. Admissions is about access to education – ‘would a criminal record prevent an applicant completing this course?’ Other aspects of university life – visa approval, accommodation, extra-curricular activities, careers advice – may require different considerations and a distinct policy. Separating these will help identify if, and when, it is necessary to ask about criminal records in relation to admissions decisions. Set up processes that enable you to monitor and review the admission of students with a criminal record. For example, periodically review past internal decisions without attaching this to personal files. Keep data that enables you to understand the number and type of students with convictions whom you recruit. 1. A DBS check is mandatory prior to enrolment. There are legal obligations on universities and placement providers in relation to courses that require enhanced DBS checks. Universities should be clear about the necessity, timing and ownership of enhanced DBS checks. For non DBS courses, there is no legal requirement to ask about criminal records and universities will need to set out the purpose, lawful basis and condition of processing if they choose to collect criminal records information for these courses. ICO guidance is clear that the collection of criminal records information must be necessary and proportionate. Asking an applicant about their criminal record should only be part of the admissions process if, and when, it is necessary. For most courses, it is not necessary to ask at any stage. Universities should provide enough information to applicants, so they can assess for themselves whether their criminal record might prevent them from successfully completing a course. Any admissions policy that collects criminal records data must be compliant with General Data Protection Regulation (GDPR) and the Data Protection Act 2018. Distinguishing between DBS and non-DBS courses makes clear if, when and what needs to be asked. For DBS courses this may be pre-enrolment, or at a later stage. For non-DBS courses, universities should consider if and when to ask targeted questions or encourage voluntary disclosure. In all cases, a policy should set out why this information is collected and how it is handled. UCAS have produced a flowchart and scenarios to help universities decide whether they need to ask. Being clear to applicants is important in complying with legislation (see below). In any questions that you ask, be clear what you want your applicant to disclose and don’t ask complex legal questions. This will help to avoid confusion. Your policy should inform your decision making; avoid blanket bans; treat any information disclosed to you as confidential and only share it with specific colleagues if necessary. Written information, whether official or provided by an individual, is difficult to put into context. Where you have concerns about an applicants’ criminal record, arrange a face-to-face discussion. For DBS courses, universities should be transparent about the suitability assessment: who is involved, who has authority, what evidence, tools and training are applied and the appeal process. As far as possible the process should Involve the applicant, in person. For mandatory DBS courses, the ‘fitness to practice’ process should be closely linked to the profession and recognise discrepancies between risk threshold at the university and in the profession. This should include review processes to ensure consistency of decision making and to incorporate changes – for example, greater recognition of the value of lived experience in social and youth work. Most criminal records are not an automatic bar to regulated courses or professions. Applicants should have the opportunity to disclose in person so they can discuss the circumstances and answer questions. The best research available shows that criminal convictions which are more than 7 years old (since conviction or sentence end) are not predictive of a person’s likelihood of committing a further offence. If you are collecting criminal records data – even for mandatory DBS courses – you must have an appropriate policy in place under the GDPR, to meet the principles of lawfulness, transparency and fairness. Clear and positive language, data showing numbers taken on and anonymised case studies all provide reassurance that the policy is more than lip service to widening participation. 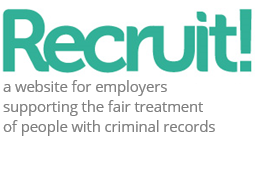 Have an ‘Applicants with a criminal record’ policy accessible on your website, explaining how you deal with applicants who have a criminal record. It should make clear whether you will ask about criminal records and, if so, when this will happen. It should provide useful links to advice to help applicants answer the questions you ask, and explain your approach to those who disclose. Applicants with criminal records are most often drawn from other under-represented groups. Staff providing financial, pastoral, healthcare, careers and other advice to students should be aware of any specific advice or support that could benefit students with criminal records. Access to support should be not be contingent on disclosure, but students should be made aware that they can confidentially disclose (and who to) and relevant staff should be trained in managing disclosure. Written information, whether official or provided by an individual, can be difficult to put into context. Sexual offence convictions, for example, cover a broad range of categories, including young couples that have a consensual sexual relationship. Legally, there are very few situations where you would be unable to employ somebody due to their criminal record. Consider the needs of applicants with a criminal record as you would for any other under-represented group. Financial, careers and pastoral advice should be available to any student, and ensuring staff in student services have at least some specialist training in criminal records will help them provide quality advice and information, or signpost to other services. Applicants with criminal records should been seen as a resource rather than burden – diversity of experience provides learning opportunities for all, and applicants with convictions are disproportionately drawn from more commonly identified WP groups – care leavers, BAME and first in family. Universities are understandably concerned about negative press. A positive, evidence-based response can help manage these concerns. There is no evidence that applicants with a criminal record are more likely to commit a crime than any other student group. Education and employment are significant factors inn reducing crime and reoffending. Applicants who have come from prison have overcome significant barriers to even be able to apply. These students have made a positive step towards a crime-free future and supporting their success is supporting a safer society.